How do I Become a Hematopathologist? A hematopathologist may use a microscope to analyze blood. Hematopathologists aim to detect diseases in blood samples. 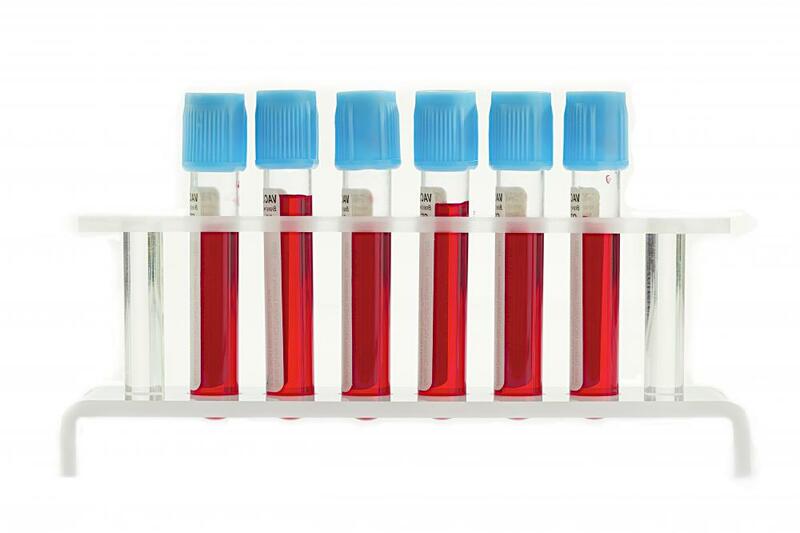 Hematopathologists are licensed medical doctors who specialize in detecting disease in blood samples. They inspect samples with microscopes and other sophisticated clinical laboratory equipment to check for cancer, parasites, deficiencies, and autoimmune disorders. In most countries, a person who wants to become a hematopathologist must complete medical school, a pathology residency program, and a fellowship dedicated to bone marrow and blood-borne diseases. A doctor who fulfills training requirements can take a licensing exam and become a hematopathologist at a hospital or a private lab. Before applying for medical school, a person who wants to become a hematopathologist typically enrolls in a four-year bachelor's degree program. Most future medical scientists major in biology or chemistry with a focus on premedical studies. An undergraduate has the chance to take both lecture and lab courses in physiology, anatomy, organic chemistry, and physics. Lecture classes provide a fundamental understanding of how the human body works, and labs introduce a student to the methods and materials professionals use to conduct controlled experiments. As a junior or senior, a student can take a national medical college admissions test and apply to accredited four-year schools. 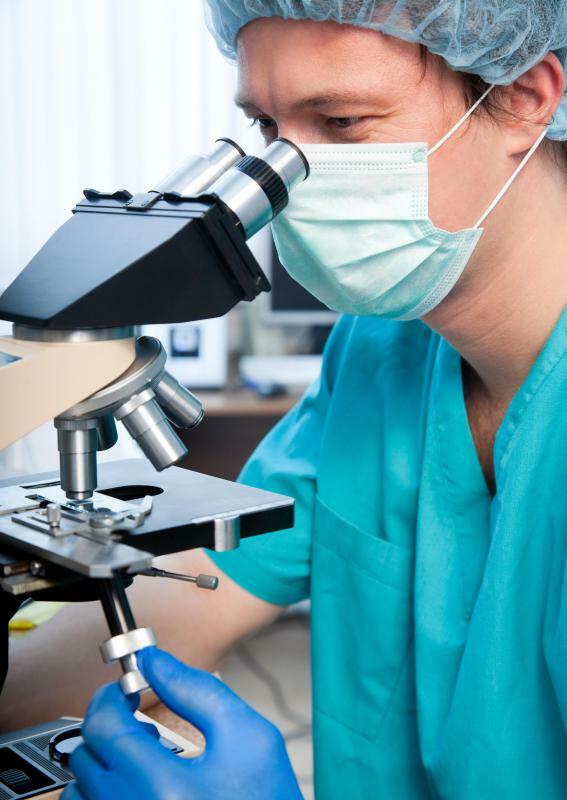 Most medical schools offer students the opportunity to concentrate on pathology studies. An individual who wants to become a hematopathologist receives extensive classroom instruction and hands-on lab work in the specialty. In many schools, the last two years of study are primarily spent in rotating internships at hospitals so that students can experience the job firsthand. A successful student earns a Doctor of Medicine degree and begins a pathology residency program. Residency training typically lasts three or four years, during which time a trainee works alongside experienced pathologists in a clinical lab. He or she continues to attend classes and participate in academic lab research projects as well. Many general pathologists begin their careers immediately following residencies, though a person who wants to become a hematopathologist is usually required to complete an additional one to two years of training. In a hematopathology fellowship program, a new doctor works under the guidance and supervision of established specialists. He or she masters the specifics of the job, such as protocol for storing samples, recording findings, filling out official reports, and communicating results with practicing physicians. A doctor can take a written and practical licensing exam upon completion of a fellowship to earn board certification and the right to begin working unsupervised. Hematopathologists periodically attend seminars and take recertification exams throughout their careers to ensure they stay up-to-date on the latest breakthroughs in the field. What are the Different Hematology Jobs? What are Bone Marrow Stem Cells? What are the Different Types of Bone Marrow Treatment? What are the Different Laboratory Technologist Jobs?